When Yahoo debuted a dramatic overhaul to Mail in October, many users gave the new layout a thumbs down. 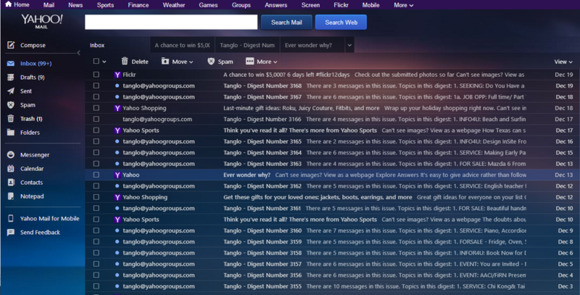 While Yahoo may have hoped that Mail’s new look would lure people away from competing services such as Gmail and Outlook, longtime Yahoo Mail fans just wanted things to stay the way they were, dagnabbit! The change that caused the most irritation for longtime users? The removal of tabs from the new layout. But tab fans can bask in some good news: You complained and Yahoo listened. But while tabs have returned, the new-and-improved feature isn’t like the Yahoo Mail tabs of old. Yahoo originally dumped tabs during the Yahoo Mail overhaul, because many users complained it was hard to navigate once you had a large number of tabs open at once. To get around that problem, Yahoo has added a new preview screen that lets you see all of your tabs at once. 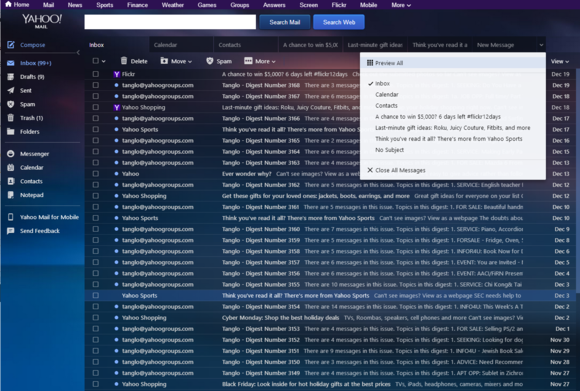 Here’s how the refreshed tabs work in Yahoo Mail. 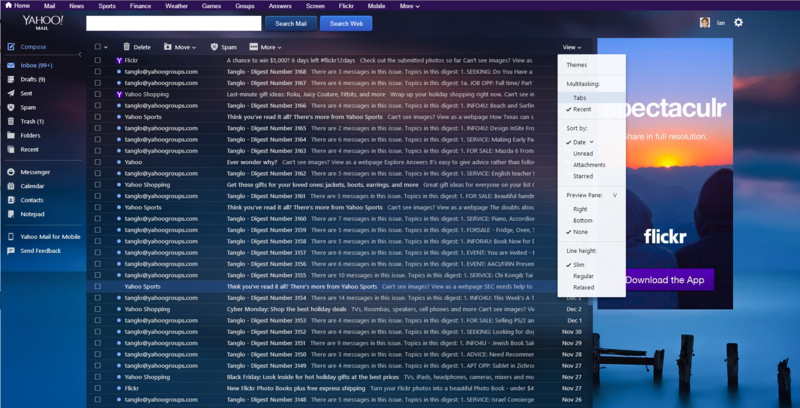 Enable tabs in Yahoo Mail by selecting View> Multitasking>Tabs. By default, the new tabs feature is not active, so the first thing you need to do if you want tabs to return is click on View in the upper right corner of your Yahoo Mail inbox. From the dropdown menu look for the Multitasking section and select Tabs. That’s it—you’ve got a tabbed inbox. Now when you click on a new message, the compose option, calendar, or contacts, they’ll open in a new tab. So what do you do when you have too many tabs open at once and can’t find the tab you’re looking for? Just select the downward facing arrow to the far right of your tabs and click it. Select Preview All or tap the escape key to see all your open tabs at once. In the dropdown menu that appears, select “Preview All” and you’ll see a snapshot of each tab you have open. Yahoo calls this view “boss mode.” From here, just click on the tab you want to navigate to and you’re back in business. There’s also a keyboard shortcut for power users. Just tap the escape key on your keyboard to open the tabs preview screen. Viewing all your tabs at once is not an original feature since many tabbed apps, including most browsers, have a similar feature. But it sure is handy for those times you need to stay organized. Tabs are currently rolling out worldwide. If you don’t see the option in your inbox, it should arrive in the next few days.